Hey guys, the review tour for Alexandra Sirowy's First We Were IV has begun! 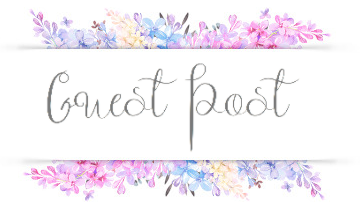 Yesterday, Evie Seo shared her awesome tote design that is part of the giveaway for this tour, and her wonderful review. 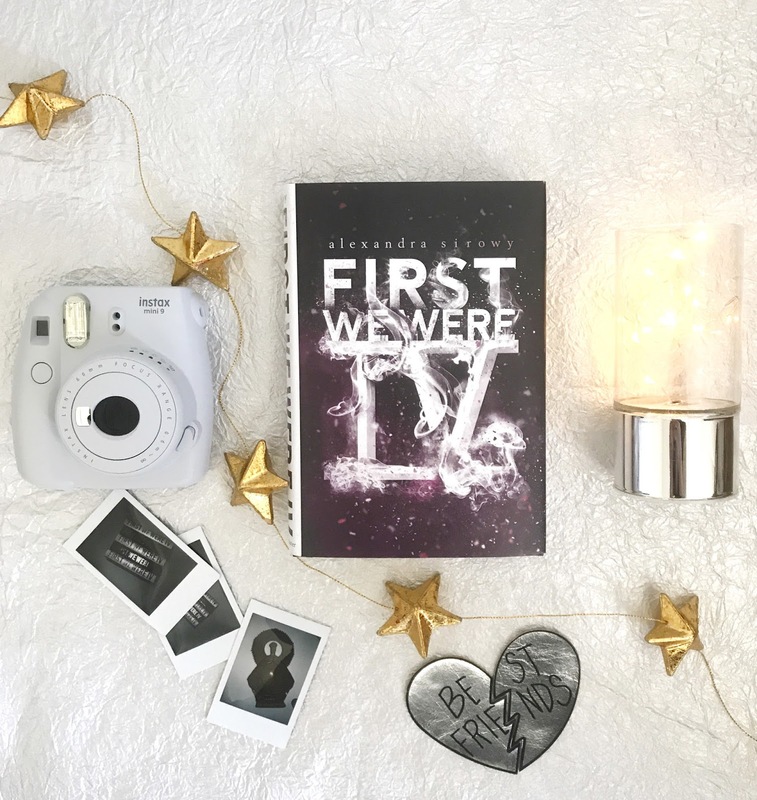 Today, Alexandra is on the blog and sharing her inspiration behind First We Were IV. 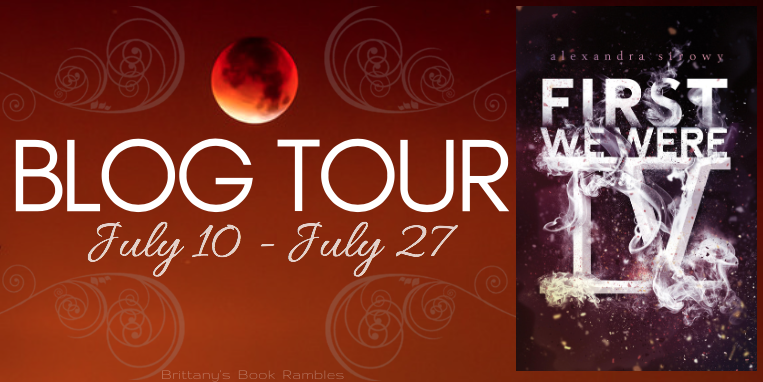 Be sure to check out all of the fun posts on this tour along with our outstanding giveaway! Izzie loves nothing more than her three best friends, Viv, Graham, and Harry, and the bond the four of them share. And she’s terrified of their friendship falling apart next year when they go off to college. To bind them together, she decides to create that will belong only to them, a special thing that they’ll always share between the four of them. And so they dream up the Order of IV, a secret society devoted to mischief that rights wrongs and pays back debts. At first, it works like a charm—but when the Order of IV’s escapades getrecognition beyond their wildest expectations, other people start wanting in. And soon, what started as a game of friendship is spiraling into something dangerous and beyond their control—and before it’s over, they’ll pay the ultimate sacrifice. FIRST WE WERE IV is the story of four best friends who invent a secret society and try to use it to get justice for an unsolved murder in their town, until justice turns to revenge, secrets unravel, others want in, a rebellion is sparked, and the secret society gets beyond out of control, ultimately costing one of the friends their life. Opening with the arrival of the police, evidence of an accident or murder, witnesses with conflicting accounts, and the statement “First we were four. Now we are three,” the story jumps back to relate how the secret society took on a life of its own, leaving the mystery of what happens to one of them (and to which one) to pull you through the book. The inspiration for writing FIRST WE WERE IV occurred to me gradually and then all at once. Here’s how it started almost ten years ago. Back when I was an undergrad in college, I came across this blurry black and white photo of girls surrounding a lake, lighting paper boats on fire, and sailing them out to burn. The photo was from decades before, and it was captioned Midnight Lake Ritual. From the instant I saw it, I had questions. Ritual of what? Was this an all-girls secret society on campus and did it still exist? Secret societies wormed their way into my consciousness, where they waited for the other pieces of the puzzle to fall into place. A few years later, I was at an outdoor market in Vietnam where I found this little wooden statue – the carving of a woman, hawkish nose, eight inches tall, eyes closed, mischievous smile, and palms tented. She’s wearing a long cloak engraved with stars and there’s a big half-sun or starburst arching over her head. A crescent moon on its back is at her base, along with a few words scratched in Latin. The woman selling her didn’t speak English and I didn’t speak Vietnamese, so I couldn’t ask where the statue came from. Her origins are a mystery. I brought her home with me and she sat on my desk for a couple of years, smiling this dangerous smile, daring me to tell her story. In FWWIV, Graham’s mom brings home a similar mysterious idol for him. 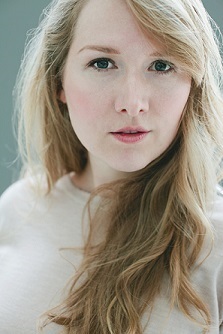 She is the inciting spark for Izzie, Graham, Viv, and Harry inventing a secret society – and she was my initial spark for writing FWWIV. The next bit came when I was scanning an entertainment blog. A short post about celebrity kids using crystals to start their own religion snagged my attention. I couldn’t get the image out of my head: a few teenagers in the hills behind their Los Angeles homes, inventing something big and bonding over shared secrets. The last bit snapped the others into place. My dad grew up on a farm in Iowa, and on the farm is a giant rock smack in the middle of a corn field. My sister and I visited and we stood in front of the rock – tall as a house, flat as a stage – and we talked about all the games we would have played growing up if we’d had a rock like that in our backyard. But then, one of us said, “I bet someone died up there a really long time ago.” And the other said, “I bet someone was sacrificed on top.” Yep, sisters in morbid imagination. When I got home, FIRST WE WERE IV wasn’t just a collection of ideas, it was a book. It just needed to be written. -Fujuifilm instax mini 9 Polaroid camera in smoky white (& film) like the one in the book! Thank you for the chance in this awesome giveaway! Aah I'm so sad it's only for America! It's times like this that I wish I didn't live as far away as Ireland! I'm sorry! 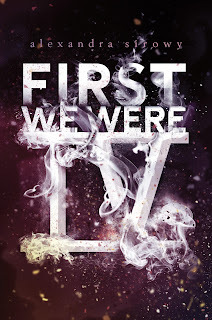 But I hope you have First We Were IV on your TBR! It does, doesn't it ^_^ I hope it's on your to-read list! I haven't read any books by this author, but now I've added them all to my list. I think I'd love her writing style! Awesome post! I always find it so interesting learning where authors come up with the inspiration for their books. I can't wait to add this to my TBR. Thank you! It's always fun to get inside author's heads a little bit. I hope you enjoy !